(Newser) – The new Pokémon Go game is turning out to be way more lifelike than intended. Police in Missouri say four teens used the app to lure victims to remote spots and rob them at gunpoint, reports KMOV. Authorities in O'Fallon tell Gizmodo that eight or nine people fell victim to the ruse before the four suspects, ages 16 to 18, were arrested about 2am Sunday in the parking lot of a CVS. 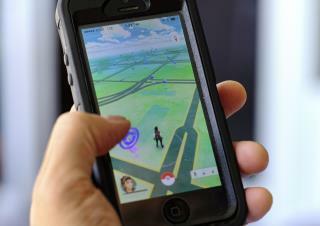 Pokémon Go is a combination virtual reality and geocaching game in which players go out in the real world to try to capture imaginary creatures at so-called Pokéstops. “Using the geolocation feature, the robbers were able to anticipate the location and level of seclusion of unwitting victims," a police sergeant tells the Guardian. Now! We Need a Pokemon App to help find those Low-life Robbers& get them off the Streets! There ya go ALL! Shane Michael Backer, 18, from Wentzville, Brett William Miller, 17, from St. Peters, and Jamine James D. Warner, 18, of O’Fallon were charged with first degree robbery and armed criminal action, both felonies.